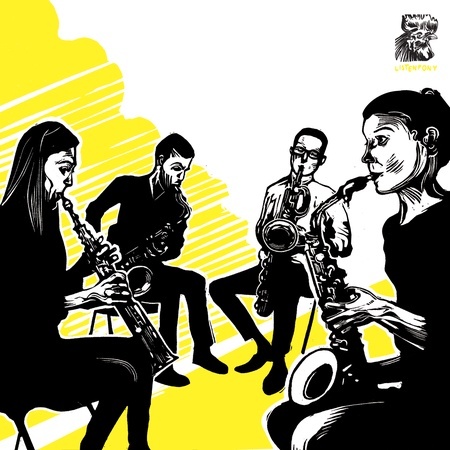 Listenpony is proud to release a live EP of Laefer Saxophone Quartet. This is the quartet's debut EP, recorded live at our event in November 2016. As well as a fantastic transcription of Mendelssohn, and includes three first-time releases of Listenpony commissions: William Marsey's Doctor, Emre Sihan Kaleli's Funeral Music, and Erica Telisnor's The Bridge.